Jolonda Armstrong is excited to be YOUR Realtor. 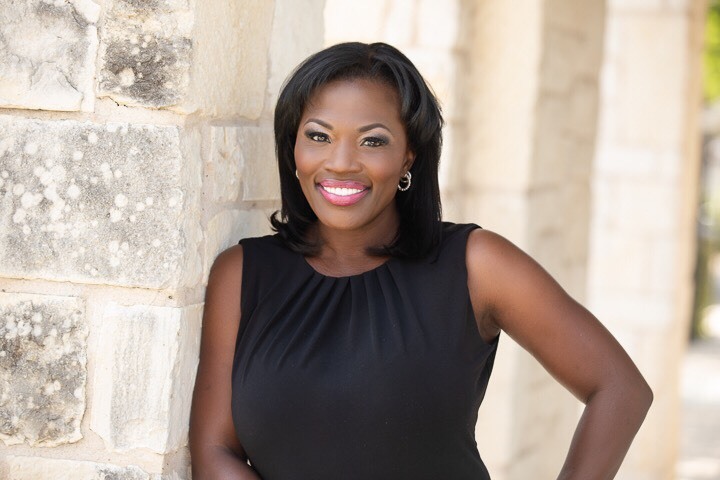 Growing up in Waxahachie, and having experiences in Dallas, Plano, Florida, California and the Kyle area, Ms. Armstrong has developed an ongoing fascination with the process of building new homes, from the ground up. Jolonda grew up with two brothers and a sister on a farm in Waxahachie, Texas, where the home was the place that families gathered together to eat, play, pray, and love. Ms. Armstrong currently lives in Kyle, Texas, with beautiful twin daughters, who are transitioning to middle school; while her eldest, and only son, is a proud member of the United States Airforce. Before becoming a real estate agent, Jolonda worked as a mortgage loan processor for a little over nine years. This experience sparked her passion for real estate. She invested in her first home as a processor and learned firsthand what it meant to "buy a home." Through this, she discovered that finding and purchasing the perfect house was much work, but also very rewarding! She loved the feeling she received after setting a goal, applying herself, and getting something tangible in return. As a result, Ms. Armstrong began to invest in multiple homes. As a realtor, Jolonda makes it a priority to help others purchase their first home, their dream home, their investment home, and their retirement home. She loves to witness the expression on people's faces once they have reached their goal of owning a home and is thrilled to see the hope and excitement in their eyes, as they dream of their family's future, in a place where THEY can eat, play, pray, and love. Home is where the heart is. Let Jolonda Armstrong, help find a house, that you can call your own.